Are you looking for a competitive Austin youth basketball training program? Our select basketball teams, camps, clinics and personal training are committed to developing girls and boys into a complete player for their school. Many Select Youth Basketball Austin programs around town claim to teach basketball, and when you sign up for their program, your child ends up playing in a lot of open gyms and not a lot of teaching. Impact is all about actual basketball development. 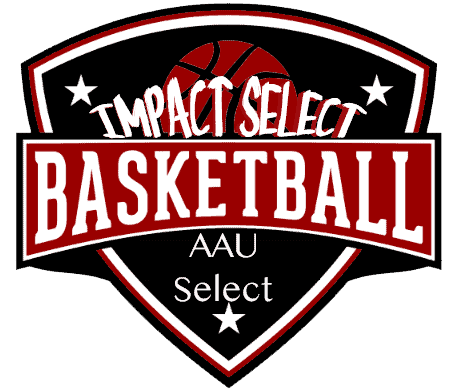 Why is Impact the top-rated AAU Basketball Austin and Cedar Park training program? Impact Sportz is an Austin Youth Basketball bassed program that originally started in Chicago Illinois by Lonnie Welch and Toron Clark. Since 2000 they have been producing some of the best girls and boys athletes in Chicago. Now relocated to Austin Texas, they have jump-started a basketball training program locally, with the same thoughts and training strategy. They have begun building an elite staff of coaches and players and just like Chicago they are training some of the top athletes here in Austin Texas. Their mission as a Texas youth basketball program is to create a fun, safe, and invigorating environment. They want to teach our youth the game of basketball, maximize their skills and build the self-esteem of each boy and girl with whom they have contact with their AAU basketball teams. As an Elite Austin select basketball program, they are dedicated to fulfilling the dreams of their players while providing their employees with a meaningful and positive work environment. As a result, they expect to grow the love for the game in our community and create new “IMPACT” fans each and every day. Here are the 6 top elements we focus on Austin youth basketball program. Is described as having the ability to persevere through difficult circumstances and merge without losing confidence. Basketball Mental toughness is a battle between mind, body, and soul. Your mind must be in full control you must be able to think out, outwit, and out-maneuver your opponent. To perform to the best of your abilities you must be in tip top shape, and your body must be a well-oiled machine. Meaning you should be ready to accept all tasks. Your soul should be open and willing to take the tasks that are presented to you. We at IMPACT take great pride in teaching the mental aspect of the game. Our mental toughness training allows players to tap into emotional and mental resources that keep players playing at their top level. Shooting a basketball can be as simple as grabbing a ball and heaving it up to the basket. If it was only that easy! But shooting a basketball with proper shooting techniques takes skill, technique, and practice. We teach techniques that make it very simple to become a great shooter almost overnight. If a player follows the techniques and tips, we teach their shooting will go through the roof very quickly. Though it might seem complicated at first, knowing the proper way to shoot a basketball will pay off down the road. As everybody knows the offense is everyone’s favorite part of any sport. We want to see the ball going into the basket, the football gets into the end zone, and the baseball get hit over the fence. What all of these sports have in common is technique. When a coach evaluates a player, these are some of the things that are going through that coaches head. Can this player score, can they attack the basket, can they shot a jump shot and can they read and react offense and score in in the flow of the game? Our job as an Austin youth basketball program is to make sure that your child is prepared. They know exactly what the coach thinks so they can give that coach exactly what they want. If you know exactly what a person is expecting you can cater your skills or better yet your tryout to fit what that coach is looking for. Each year we have a large number of players leave our program and go to their school teams and make their teams. Often we are called and told the techniques that were taught made them more prepared for tryouts. Ball handling is the focal point of basketball. Becoming a great Austin youth basketball player you must be a very good ball handler. This allows you to do many things on the court and to be a more effective player for your team. Being a great ball handler allows a coach to place a player in multiple different positions. As a coach I always look to find great ball handlers, it allows me to do many things with my offense. When your child leaves our program and goes back to their school team we make sure that they understand how to dribble a ball, and how to be effective when the ball is in their hands. I’ve always felt offense keeps you in the game defense wins championships. Defense is the hardest part of basketball, and this is because most players prefer just to score and not actually play defense. If you look through the years and research any sport, there aren’t many teams that have become champion without playing defense. We teach the fundamentals of defending a player. We teach man-to-man, zone and full-court press. These are some of the most common defenses played by many middle and high school basketball programs. We feel that if we can instill all of these elements in our Austin Texas Youth Basketball son and daughter they will be well versed when it comes time to play for their local school team. In our Austin youth basketball program, we teach that basketball IQ is the ability to read and react to what is going on the basketball court. This is having the capacity to adjust to what is going on around a person’s surroundings. For example, Michael Jordan was considered to have one of the highest basketball IQ along with outstanding athleticism. He would and adjusts to whatever the defense was doing to him, and from an offensive standpoint, he would twist and twirl his body in different directions to score baskets. To have good basketball IQ a person must actually understand the game. A person with low IQ is someone who does not know how to adapt to a lot of the basketball situations, sometimes forcing note that shots sometimes, making a bad defense of decisions and also not knowing where they need to be on the court. We spend a lot of time making sure our player’s basketball IQ goes up this is one of the important parts of the game. Impact takes great pride in its training abilities and developing young athletes. Impact has been training for more than five years. 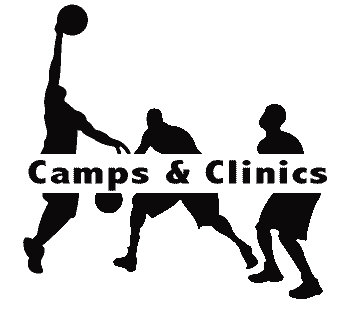 We are year-round basketball training program our number one goal is to help your young athlete make their middle school or high school team or take their game to the college level. Impact uses the most up to date training techniques that help your young player stay ahead of his or her competition. Our coaches have all played at a high level of basketball and also have middle school and high school training experience. As you may know to become good at any sport you no longer can just practice during that time. Impact is a year-round training program so your skills can be enhanced through the year. The techniques that we use help our young athletes excel and have contributed to more than 80% of our players make their middle school and high school basketball teams. Our program is geared to help young athletes through camps, clinics, travel teams and tournaments. Our travel teams start for girls at 5th grade and up and boys team 3rd grade through high school.